Earning and spending money must be from a place of love. Always love and appreciate your money, and–choose love– when purchasing from a person, place, or event. When spending, practice gratitude, and resonate with the gift of love money truly is. Never take for granted the great blessings you can both receive and give when money is in service to love. CHOOSE LOVE with money. Never hoarding or reckless. Doing this changes the flow and vibration of money and you are now in currency with love. Don’t ever let money get you down! No matter what the bank account says, how much you owe in debt, or future bills to come. Let it all go and let it be. Accept your current money situation no matter what it is, keep moving forward in your life, and HAVE FUN. Fun and joy doesn’t cost any money, and worrying about money just brings more worry. So let it be, have fun, and enjoy life as it is, how it is. Money will flow to you in Divine time. If you truly love your money, surrender to the flow, and allow love to guide your choices. The entire frequency changes to love and surrender! Living from your heart. Living life as if your heart was on fire is the last abundance rule. When you love every gift exchange, surrender to the ebb and flow, and live from your heart, wealth and money become two lovers entwined with intimacy, passion, and joy beyond this world. Living from your heart means serving from your God Self. Abundance comes in many forms when we live from the heart. It comes in the gift of friendships, relationships, opportunities, miracles, and love. Wealth is a natural reflection from an open heart. 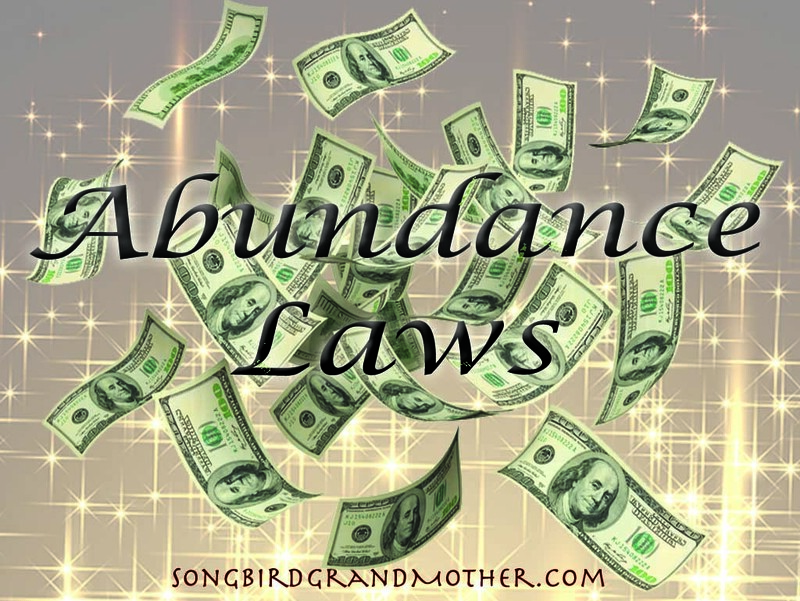 True abundance isn’t about money it’s about the currency of love. How much or how little you have will always reflect in your attitude. Choose these three principles and you will find your entire frequency with life changes to the tune of love…and love is the most precious resource we have on this Divine Planet.